What Period is called Ancient India: The history of India commences with the evidence of human activity of Homo sapiens as long as 75,000 years ago, or with earlier hominids including Homo erectus from about 500,000 years ago. 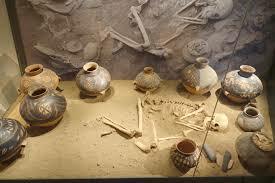 The Indus Valley Civilization, which spread and flourished in the northwestern part of the Indian subcontinent from somewhere around 3300 to 1300 BCE, was the first major civilization in India. 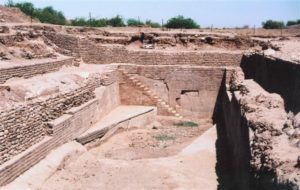 A sophisticated and technologically advanced urban culture developed in the Mature Harappan period, from 2600 to 1900 BCE. 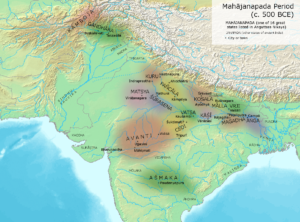 This Bronze Age civilization collapsed before the end of the second millennium BCE and was followed by the Iron Age Vedic Civilization, which extended over much of the Indo-Gangetic plain and which witnessed the rise of major polities known as the Mahajanapadas. In one of these kingdoms, Magadha, Mahavira and Gautama Buddha were born in the 6th or 5th century BCE and propagated their Sramanic philosophies. Almost the entire subcontinent was conquered by the Maurya Empire during the 4th and 3rd centuries BCE. It subsequently became fragmented, with various parts ruled by numerous Middle kingdoms for the next 1,500 years. This is known as the classical period of Indian history, during which India has sometimes been estimated to have had the largest economy of the ancient and medieval world, controlling between one third and one-fourth of the world’s wealth up to the 18th century. Much of northern and central India was once again united in the 4th century CE, and remained so for two centuries thereafter, under the Gupta Empire. This period, witnessing a Hindu religious and intellectual resurgence, is known among its admirers as the “Golden Age of India”. During the same time, and for several centuries afterward, southern India, under the rule of the Chalukyas, Cholas, Pallavas, and Pandyas, experienced its own golden age. During this period, aspects of Indian civilization, administration, culture, and religion particularly Hinduism and Buddhism was spread to a large part of Asia. The political scenario of northern India after the extinction of the Kushanas and the Andhra till the ascendancy of the imperial Guptas was absolutely anarchic and tumultuous. This period was one of the darkest periods in Indian history and historians have ascribed the term “Dark Age” to this period. The epoch of the Dark Age, i.e. the beginning of the 4th century, the existing power-Kushanas could not retain the administrative machinery of their Empire properly. As a result, incessant local revolts started occurring. The provincial and local governors took advantage of the weakness of the central authority and demanded their independence. They raised their standard of revolt against the Kushana yoke and established their own independent kingdom. The weakness of the central authority made the situation pregnant enough for internal discords and anarchy and India was wrapped in petty political atoms. The states which unfurled the flag of their independence, after getting detached from the folds of the central authority of the Kushanas, established their independent status either as monarchic states or as Republican states. However, the history of the “Dark Age” began from the Kushana period when forces of disintegration crept up during the later Kushanas.